India and Nepal share rich cultural roots; have same beliefs and follow the identical ethics. 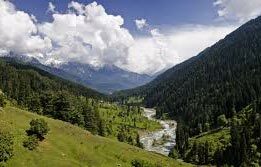 Cultural tour of India and Nepal bring out the same cultural essence both the neighbouring countries share through the exclusive package. 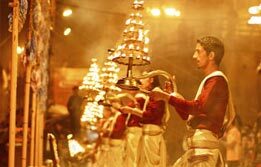 From Delhi, Jaipur, Agra, Khajuraho and Varanasi in India, the travellers get to discover Kathmandu, the capital of Nepal and understand the rich cultural assimilation both nations share. Upon arrival, meet India Budget tour representative for assisted transfer to the hotel for overnight stay. 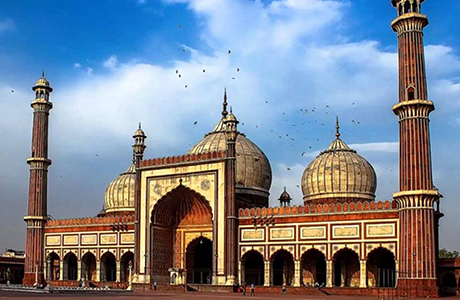 Morning begin the sightseeing of Old Delhi by visiting the magnificent Red Fort, Raj Ghat and Jama Masjid. 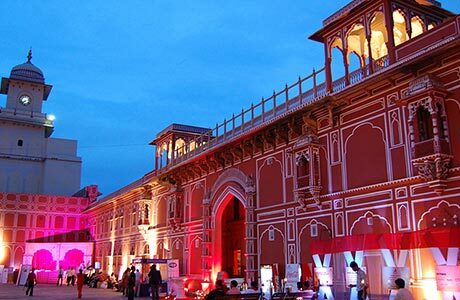 Stroll around the Chandni Chowk, if time permits. 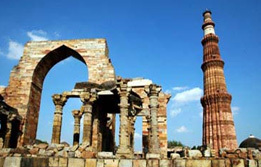 Afternoon begin the sightseeing of New Delhi visiting Qutub Minar, Humayun's Tomb, the mausoleum of second Mughal Emperor and drive past the India Gate, Parliament House and the Secretariat buildings before returning to the hotel for overnight stay. 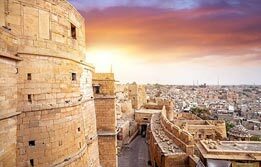 Today, move westwards in the royal state of India, Rajasthan’s capital Jaipur. On arrival, check in at the hotel. Rest of the time is free at leisure. 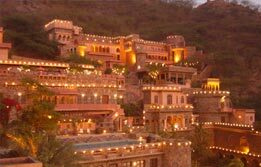 Overnight in Jaipur. 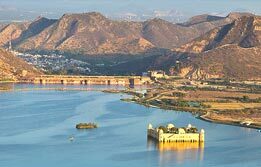 Morning, visit Amber Fort. 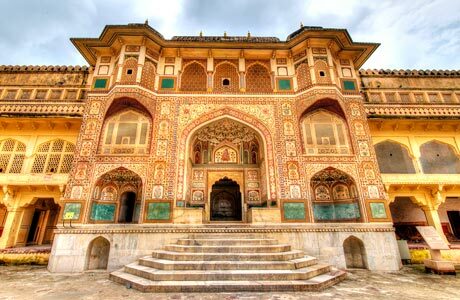 It is a classic, romantic citadel atop the hill, now the world heritage site. The way to this fortress is equally grand. Here, instead of walking through the steep way, one has to sit atop the elephants, for a royally unique experience. 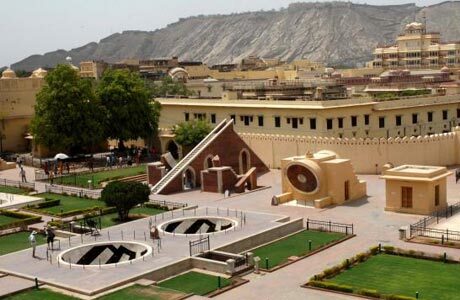 after the excursion is over, begin discovering Jaipur with a visit to the Maharaja's City Palace, Jantar Mantar, the largest stone and marble crafted observatory in the world. In the evening, stroll around the colourful bazaars for prized colourful purchase. Overnight in Jaipur. 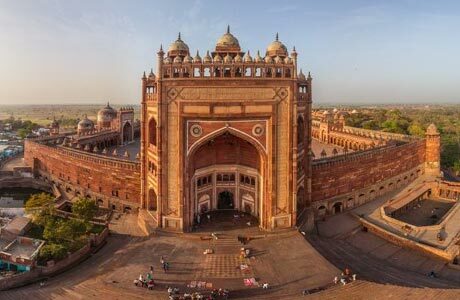 Leave Jaipur for Agra, en- route visit the Fatehpur Sikri built by Emperor Akbar in 1569 and abandoned after 15 years due to scarcity of water. Evening is free to visit the local markets of Agra. On arrival, check in at the hotel for overnight stay. Transfer to railway station in the morning and board the connecting train # 2002 Bhopal Shatabdi Express (dep. 08:12 hrs / arr. 10:38 hrs) towards Jhansi. Drive to Khajuraho, stop over at Orchha Temples. On arrival, transfer to the hotel. 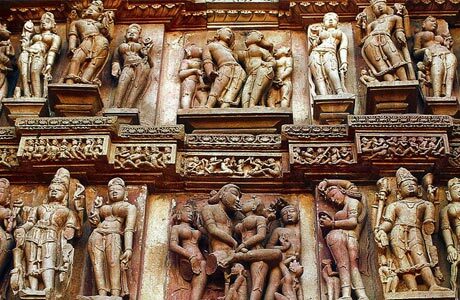 Khajuraho was the capital of Chandela Rajputs who ruled between 9th and 13th centuries. Due to a dream visitation, the ruler here commissioned the sculpting of 85 temples, out of which only 22 are present. 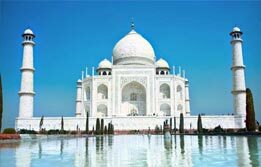 But these 22 temples are great enough to show the world its former glory and fused artistic brilliance on stone. 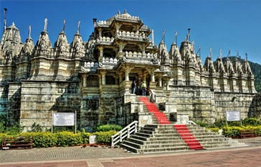 Begin discovering the temples with a visit to the Western Group of Temples. The most important temple here being the Kandariya Mahadeo Temple dedicated to Lord Shiva. Also see the Chitragupta or Bharat Ji Temple. Overnight in Khajuraho. In the morning, begin a sightseeing tour of Eastern Group of Temples. In time transfer to the airport for a flight to Varanasi. Upon arrival in Varanasi, meet India budget tour representative for assisted transfer to hotel. Overnight in Varanasi. 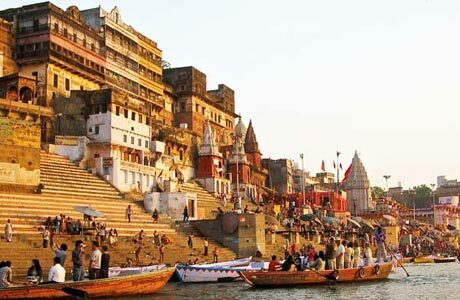 Early morning, begin a boat cruise on river Ganges, one of the most enchanting attractions in this holy city. Herein, you get to see the morning rituals of bathing, worshipping and cremation along the riverfronts or Ghats. Later, stop over at the breakfast. Return to hotel. 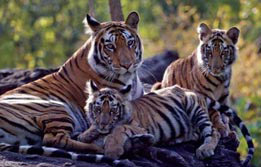 Later, proceed for the half day sightseeing tour of city situated on the banks of the Ganges. 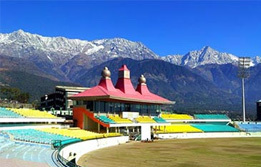 Visit the Bharat Mata temple and Durga temple to know more of the city’s deep seated culture. Also, move towards the Banaras Hindu University, the largest university complex in Asia. Afternoon move towards an excursion to Sarnath (10 kms away from Varanasi.) 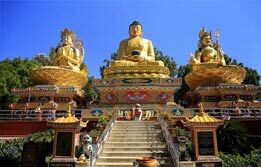 It is the fabled place, bearing testimony to its great past where Lord Buddha delivered his first sermon to his disciples, expounding the principles of Buddhism. Overnight in Varanasi. Transfer to airport in time for flight to Kathmandu. Meeting and assistance on arrival and transfer to hotel. 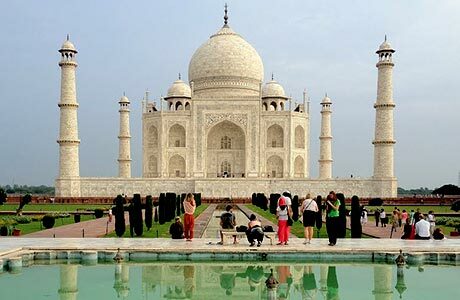 Afternoon city sightseeing tour visiting Mahadev and Parvati Temple, Machhender Bahl, Temple House of Kumari, the vestal virgin or the living goddess. 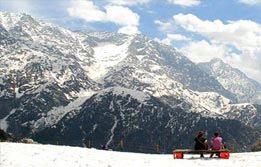 Later, visit Swyambhunath, a 2,500-year old site. Overnight stay at the hotel. Morning begin a half day excursion to Patan. 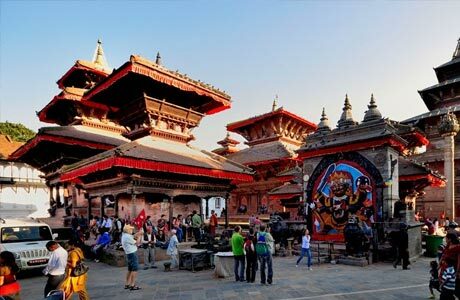 Visit the old Newar City, the historic Durbar Square, the Golden Gate, the sky piercing temple of Teleju and the statue of Yogendra Malla. Afternoon free. Overnight stay at the hotel. Morning excursion to Bhadgaon, Bodhnath and Pashupatinath. Bhadgaon -visit the ancient Gateway, Durbar Square, the Royal Residential Quarter of Bhupendra Malia, the famous five-storeyed temple of Nytapole in pagoda-style and other temples. Later, visit Bodhnath, the 2,500- year old Buddhist Stupa. Also visit Pashupatinath where Shiva is worshipped in the form of lingam. Afternoon free. Overnight stay at the hotel. Transfer to airport in time to connect onward destination flight.